Try to comb you mustache before heading out to gamble at Mr.Play. Some say that the slickest of mustaches will be granted the best of luck. This sublime addition to your face is the buzz now days. Just take a look at Mr.Play's mustache. Its elegance and smoothness promises an experience like no other. Mr. Play is a casino from the Aspire Global International software provider. It follows a specific design and layout template similar to the provider's other casinos LuckLand and Cashiopeia. The template used is integrated in order to simplify the casino experience and ease things up for both casual and pro players. It’s much more accessible, and the navigation of the entire website happens much faster. The design is made to expose the gamers to all the options the casino has, without forcing the player to dig deep into the site to find a specific page. In the future, we hope to see more casinos who utilize a similar arrangement of its interface, as it is definitely user friendly. Mr.Play is a gentleman. Above all he cherishes the experience of his customers. That is why he provides as many games as there are single hairs on his upper lip. It also includes a Live casino mode, where you can compete with other real players and showcase the grandeur of your facial hair. Below are all the game providers Mr.Play has had the honor of accommodating. We all know that taking care of a mustache is hard work and requires a lot of grooming. Mr.Play is completely aware of this. Just look at that perfected facial hair. In order to play while professional mustache groomers take care of business Mr.Play has integrated a mobile version for those that are extra tentative with their manly facial hair. Now that you’re out of the barber and ready to go and charm the world, some safety is required. 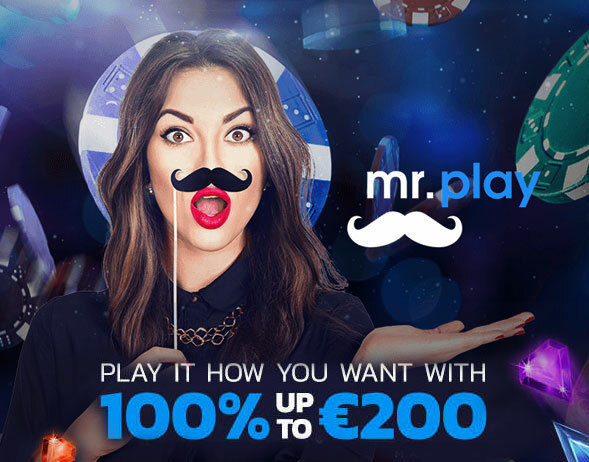 Not that you’ll need any with that impressive hair lip, but Mr.Play is extra careful and takes care of his fellow gambler, facial hair or not. Like its sister brands, Mr. Play insists on its high level of security and safety when it comes down to user data, payments and withdrawals. Using the latest state of the art SSL encryption technologies, all sensitive data is transferred safely and securely over the internet to the casino’s firewall protected server. As always, casinos have to be prepared for a plethora of questions concerning their services. That is way Mr. Play has incorporated not only a live chat and email support, but also a toll free phone support 7 days a week. With the only difference that every time you speak with one of their support figures they simply cannot seize to twist their perfect mustaches.However, these services are available only from 8am to 1am CET. They even have a slogan that is found among the sister brands, that states that the Customers Are Really Everything, or CARE. The level of dedication is on point. 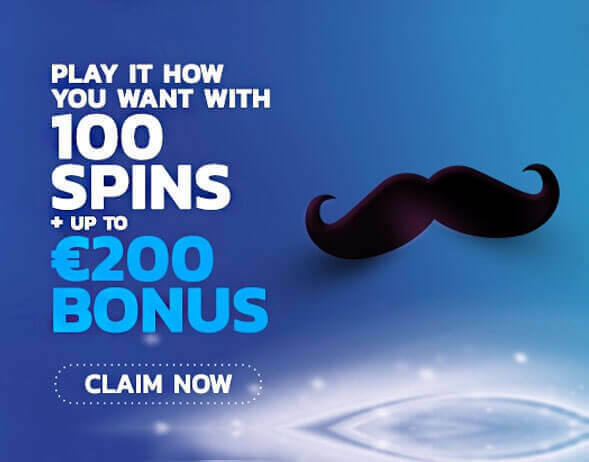 The Welcome Package of 100 Spins + 100% up to €200. The Reload Bonus of 50% up to €200 on the players first two bonuses of the day. The Loyalty Package offers Reward Points and extra privileges. There are also daily, weekly and monthly offers for the grabs. As is with its sister brands Mr. Play surely does achieve a solid and fun online casino experience that is amusingly themed. The theme might be humble in its delivery but its expertly exposed and marketed. Mr. Play relies on a non-typical template for easier accessibility, and is very generous on the promotions. We encourage you to give it a shot. Now excuse us for we have an appointment at the barbers.